Opening Film from the 2016 Annual Film Festival. A portrait of the Israeli people told through food. Americans see Israelis and Palestinians as always in conflict. Those are not the people of Israel for the most part. 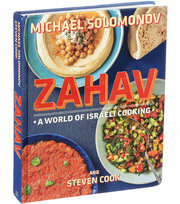 “The Search for Israeli Cuisine” will show the 70+ cultures that make up the Israeli people, each with wonderful and unique food traditions. Israel has one of the hottest food scenes in the world. Getting into restaurants in Tel Aviv and Jerusalem is as difficult as New York or San Francisco. Viewers will be amazed and impressed. NOTE: ONLINE Sales suspend one hour before showtime, subject to availability.